Coincidentally, today I received a comment about my blog and the now discontinued Oncoblot test from a patient who was scared by the “Minority Report” pre-cancer test that found disease that probably subclinical and possible never going to manifest in many cases under immune competent situations. Read this blog and the comments to understand more deeply. I was invited to speak next week in Moscow at a cancer conference so I will summarize what I would have said to them. 5. Cancer is rare – in fact the Oncoblot test shows it is common and autopsies of young men also show prostate cancer can be found throughout life. 4. Cancer is hereditary – familial cancer syndromes are rare and nearly always related to cell cycle, cell suicide, telomere maintenance, and DNA repair. 3. Cancer is deadly- if a frail old man like Jimmy Carter’s own immune system can clear metastatic melanoma from his brain, then how deadly is it? 2. 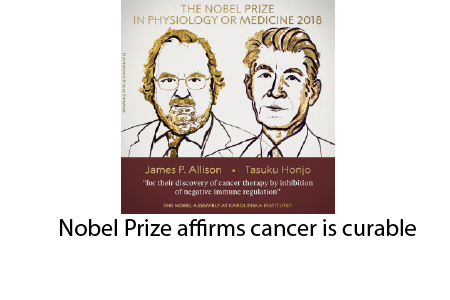 Cancer is inevitable – certain species like naked mole rats (via contact inhibition) and elephants (via 20 copies of p53 the “watchman of the genome”) do not have high rates of cancer. 1. Cancer is real – this one is the hardest for everyone except pathologists and clinicians to understand. In truth, it is very difficult for pathologists, who generally make judgements based on microscopic appearance and clinical context, to say what is precancerous, atypical, grossly cancerous, or indeterminate. It is based on a guess. For clinicians, they rely on pathologist but in truth, there are many possible pathways that a clinical cancer can go and many host factors that can mitigate the cure rate.